Your skin, and the way you sit in a chair, is unique to you. A skin sore can derail your life, and lead to hospitalization and a long recovery period, so it is vital you do everything you can to avoid pressure sores. If you have a history of pressure sores, or areas that are showing redness or signs of too much pressure, it is critical you choose a cushion that provides the maximize protection and healing support. We nearly always recommend an Air cushion when there is a very high risk of skin sores. If you are only using the chair occasionally, and you have no skin redness or indication or skin sores, or no history of skin sores even after spending significant time sitting, then you can use a foam or flat gel cushion, and focus predominately on postural support and comfort. These types of cushions are less expensive as well and require little to no maintenance other than washing the cover occasionally. Please note: This information is based on our years of experience, and on manufacturer clinical testing and recommendations. If you are unsure about the right product for you, please consult your physician or physical therapist. Posture support or corrective positions cushions are extremely important for users who may have seating or positioning needs. 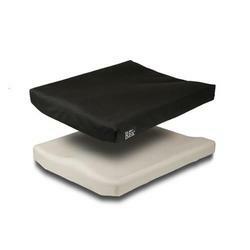 The right cushion can aid in correcting posture for spinal, hip and even leg abnormalities. 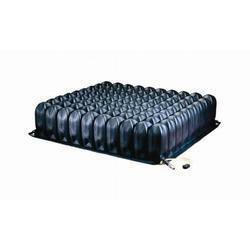 Certain cushions have built in support, others types can be adjusted with gel, foam, or air packets. For example, if the user "tilts" to one side, or always seems to be falling forward, the right cushion can help tremendously, and prevent other issues from developing. Please call one of our cushion experts for help in identifying the appropriate cushion and accessories to correct for postural abnormalities. It is difficult to provide a cut and dried answer for the maximum numbers of hours, since every individual is different. These general recommendations come from our years of experience, and from manufacturer input and clinical testing. If you are an experienced user, you already know what will work for you and can ignore this section of the recommendations. If you are new to cushions, we strongly recommend you follow these guidelines, since the consequences of developing a skin sore are significant. It is best to consult with your physician or physical therapist if you are unsure. With both lightweight and denser options, foam cushions have a spectrum of firmness and density. 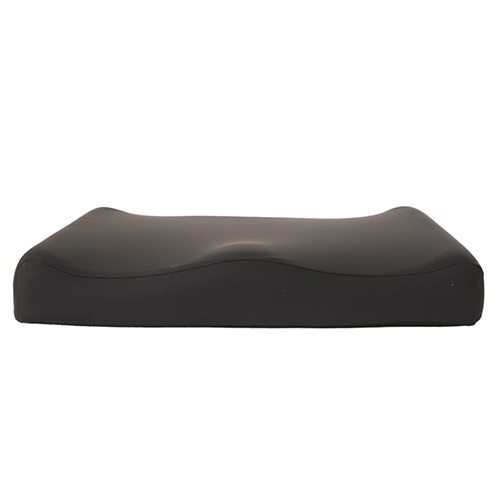 Foam cushions do a good job at enveloping the seated user, while providing adequate support and comfort. Because of the foam cushion’s makeup, the cushion is not as breathable as an air cushion. 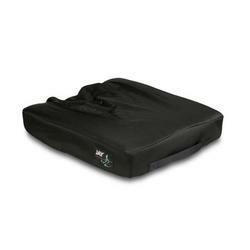 Finding the perfect cover ensures the wheelchair cushion’s longevity. Bariatric cushions have higher weight capacities and are typically more dense than regular cushions to accommodate higher weights and to prolong the life of the cushion. SpinLife carries a variety of bariatric cushion options like foam, gel, contoured, or flat, to suit your needs. At Spinlife, we feature a large selection of foam wheelchair backs, from a basic foam model for general support and comfort, to more targeted support and pressure relief areas. These cushions are lightweight and more breathable than a gel or air backs and can contour to meet a wide range of needs, including added trunk support or lumbar support. 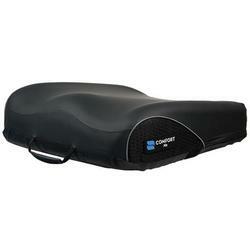 Wheelchair cushions and wheelchair backs add support and comfort to every wheelchair. 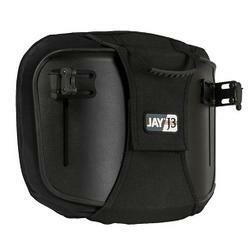 Shop wheelchair cushions and backs from Jay, Roho, Invacare and Comfort Company at low SpinLife prices. Regardless of if you spend one hour a day in your wheelchair or only get out of it to go to bed, chances are you will need some seating and positioning products at some point. We have a full range of wheelchair cushions from all the major manufacturers. If you don't see your favorite, give us a call and we'll see if we can track it down for you. 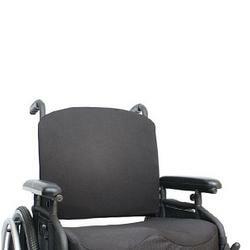 Wheelchair Cushions - We have every kind of cushion for every kind of wheelchair. Our selection covers everything from an inexpensive general use foam cushion all the way to skin protection and positioning gel or air cushions. If you are looking to replace your existing cushion, rest easy that we are offering you the best price. If you are looking for something new or different, know that our selection and expertise will help you make the best choice. 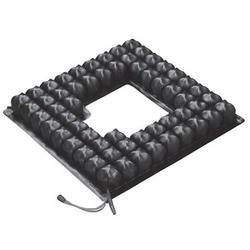 Wheelchair Backs -If you are spending long periods of time in your wheelchair, you might need a little more support and positioning combined with pressure relief. A wheelchair back might be the solution. Like with cushions, we offer a full line of wheelchair backs. Add to that our expert advice and you get a wheelchair back purchase you can make with confidence.